I showed up at my LCS to pick up some funds from a consignment case. Glen, the owner and I knew that some of it will end up back into his store. It is a rough economy, so why not support the little guys! As quickly as he handed me the envelope, I quickly gave it back and bought more wax. After all that is all I ever want to do, is open wax. Sort of sad but maybe it is because I like to break things. Breaking apart wax packs and boxes allows me to satisfy that particular urge. My knee is still a bit sore, so I am not really moving around too much. Getting fat and lazy seems to be my latest hobby. Haha! On the shelf lay three boxes, 2 Titanium and 1 Contenders. I busted all of them. I was a big fan of the Pacific Trading card products back in the day. They created cards that were thick stock and looked gorgeous. The designer really knew what they were doing when they created these cards. 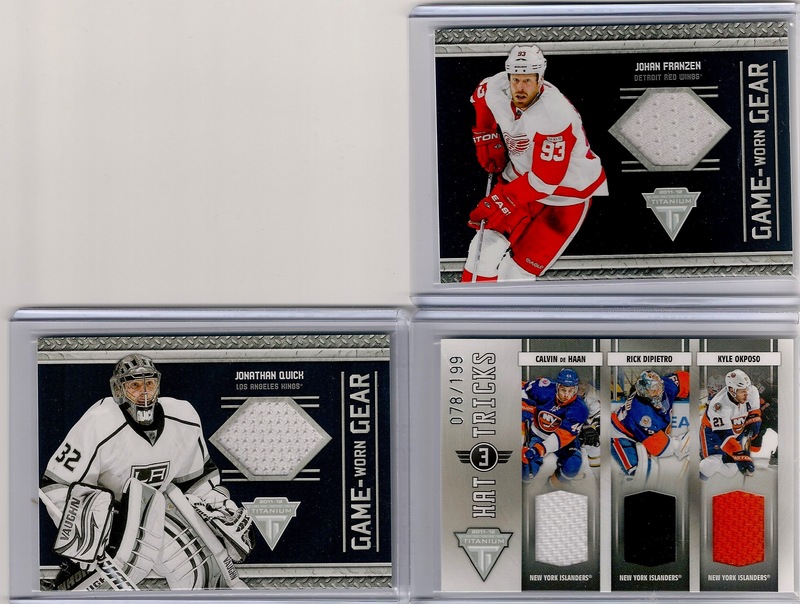 If I had to rank all my favorite card companies in Hockey, I would have to choose Pacific. I was saddened when they departed our hobby-verse. 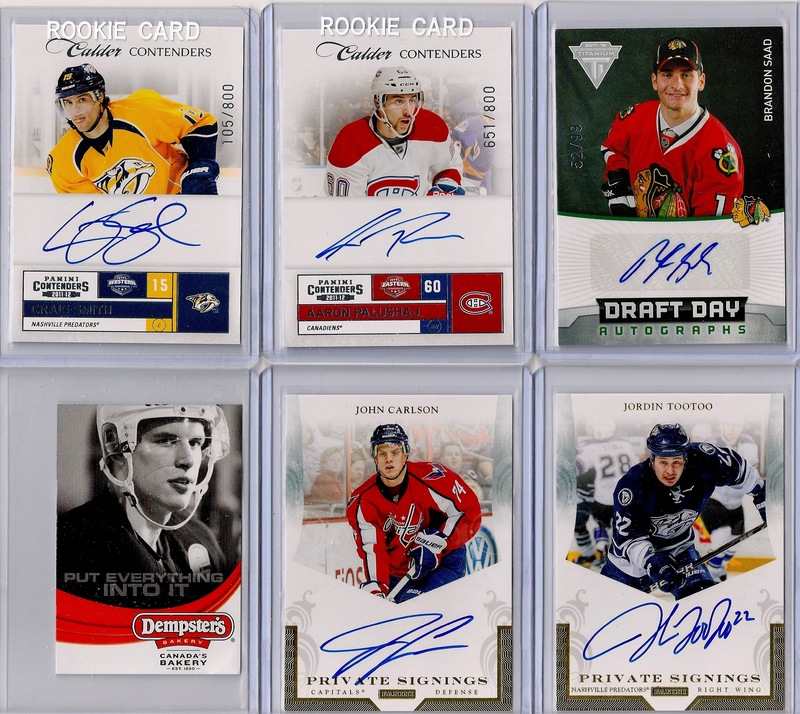 Here are my pulls in the Panini boxes. One of these images doesn’t match. Which one is it? Sesame Street anyone? Do kids even watch that anymore? Who knows. I chose to only show a couple of the cards. I have a limit on uploads and I want to minimize the impact so I can add pics to my future posts.